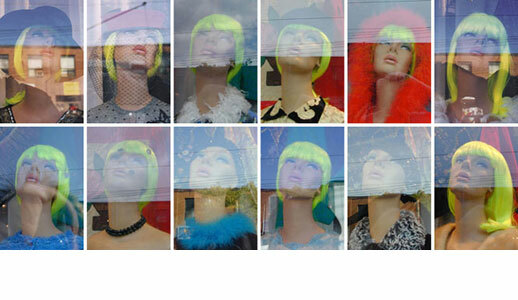 Documentation of a storefront mannequin every month for one year. These images were shot from the street, hence the heavy window reflection. This work falls in line with a recurring element in a lot of the work I have done in the past…a time based project with emphasis on sameness yet subtle differences within uniformity. The title The 12 Apostles came about sometime halfway through the documentation as I began to fear that one day ‘she’ would no longer be there. When I begin such a project I must always take a proverbial ‘leap of faith’ that it will actually succeed. Comically, the title also refers to the mannequin's blank stare and upward gaze, similar to some sort of raptured religious exultation.